The grid shows the prices and daily availability from Fri 26 Apr 19 to Tue 7 May 19. 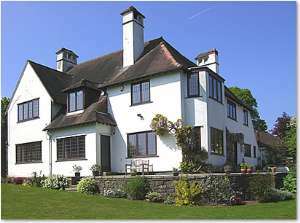 It's easy to check availability for particular dates; just use the calendar to choose the check in date, select the number of nights and click the 'Search' button..
Set in the village of Christchurch The Old Rectory is just 2 minutes from junction 24 of the M4 and 2 minutes from the historic town of Caerleon.Newport, Cardiff, Bristol , Chepstow, Usk and the Wye Valley are within easy access.We are the closest B&B to the Celtic Manor Resort, host to the 2010 Ryder Cup .We have ample off road parking.We are just 12 miles from the Millennium stadium with easy access by car or rail.If you wish to leave your car with us we are happy to drop you at the station free of charge. From Newport railway station 2 minute walk to bus station. Take bus to Christchurch ( 15 minutes).